Who says you can only enjoy Mexican food on Taco Tuesday? My love of Mexican cuisine runs strong all week long and is evident in almost all my dinner choices. Main dishes are easy to come by, but the sides can start to become a bit boring. 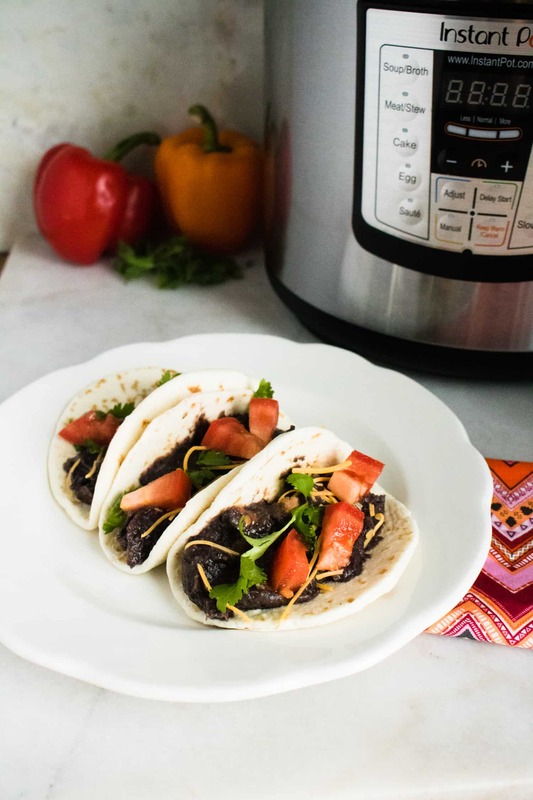 This recipe for Instant Pot Refried Black Beans puts a tasty spin on a traditional favorite! These refried black beans are healthy! Packed with 7.1 grams of fiber, 9.9 grams of protein, less then 1 gram of fat and just 27.8 grams of carbs. These are not your typical refried black beans, and you’ll thank me for it! Seasoned with Jamaican Jerk BBQ seasoning, garlic powder, onion powder, cilantro and white pepper these beans deliver a mouthwatering, tangy kick! 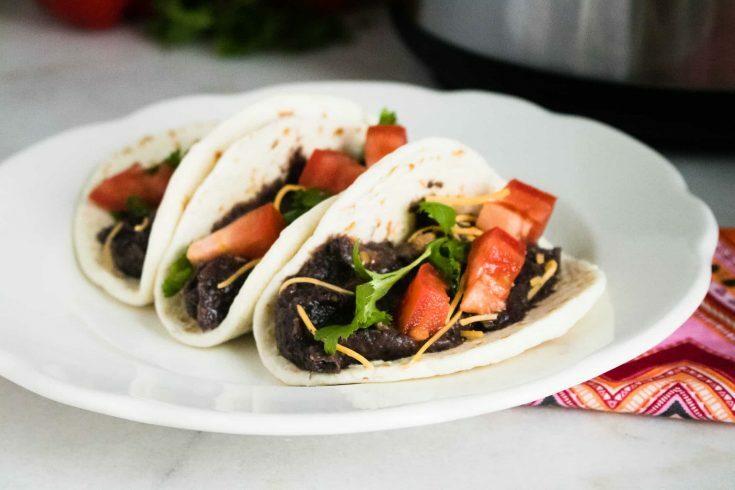 And thanks to the Instant Pot, these refried black beans are ready in just over an hour. Now you never have to spend hours standing over the stove to make refried black beans from scratch. How do I Serve Instant Pot Refried Black Beans? They can be served hot, room temperature or even cold. And they are equally great served as a main course, side dish, or appetizer. So many options! Plus, you can customize the seasonings and spice them up (or down) to suit your own personal flavor preferences. These Instant Pot Refried Black Beans truly are delicious and versatile! Step #1: Combine all ingredients in the Instant Pot. Step #2: Close the lid on the pressure cooker and then turn the valve to sealing position. Step #3: Next, set to a manual high time for 35 minutes. When the cooking time has finished, allow for a manual release for 25 minutes. Step #4: Blend with an immersion blender, or let cool and then blend in a stand blender. Add additional water if needed to reach desired consistency. Add additional seasoning if needed. Step #5: Stir and serve as a side dish, or in any recipe that calls for refried black beans. Cooking Note: For a neutral flavor, leave all spices out except for the salt. 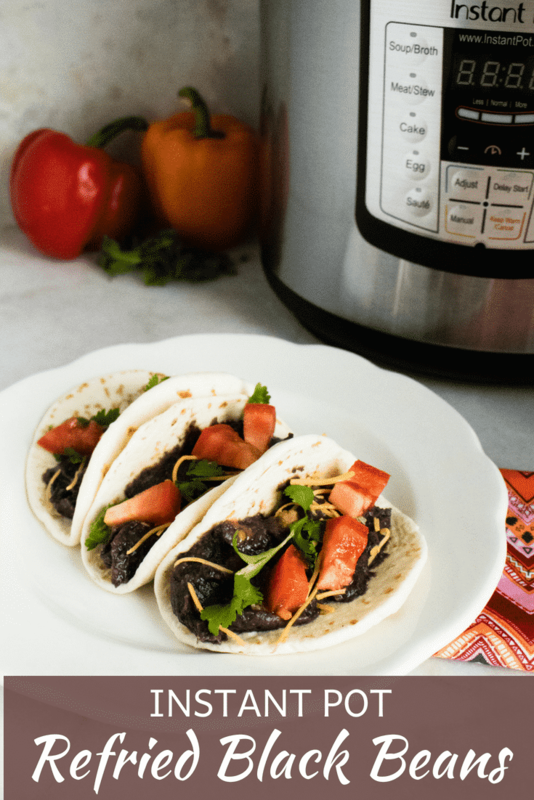 Learn how to make quick and easy Instant Pot Refried Black Beans. Blend with an immersion blender or let cool and then blend in a stand blender. Add additional water if needed to reach desired consistency. Add additional seasoning if needed. Stir and serve as a side dish, or in recipes calling for refried black beans. Cooking Note: For a neutral flavor, leave the spices out except the salt.